We are celebrating Easter at the mission field. We are closed for Easter. Probably we are the only church that close its church door on Easter Sunday. This Easter, we are celebrating Easter differently. Recognizing Christ died for us, we are going to the mission field to tell the story of Jesus who died on the cross and resurrected 3 days later so that we can have eternal life in heaven. Yes, the whole church is going and doing what Jesus commissioned us to do. 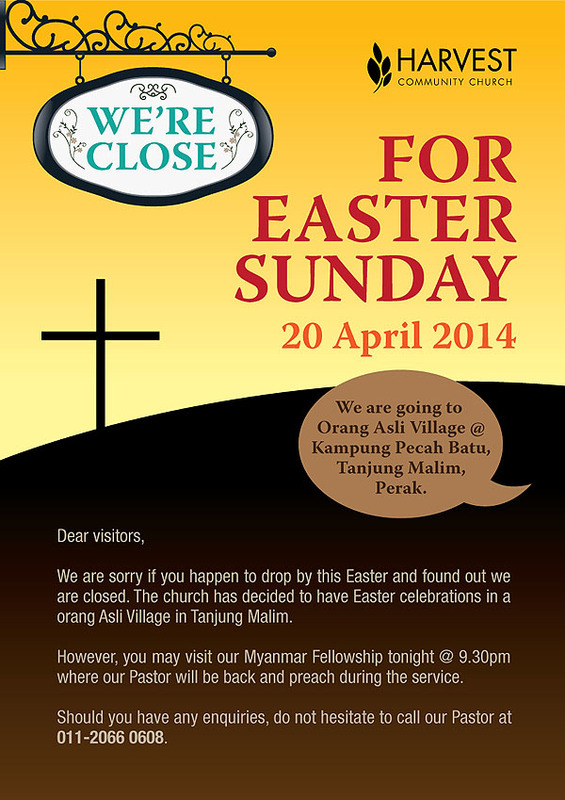 However, you may visit our Myanmar Fellowship tonight @ 9.30pm where our Pastor will be back to preach during the service. 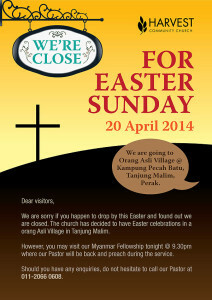 Should you have any enquiries, do not hesitate to call our Pastor at 011-20660608. It’s more than colorful eggs and baskets of chocolate. 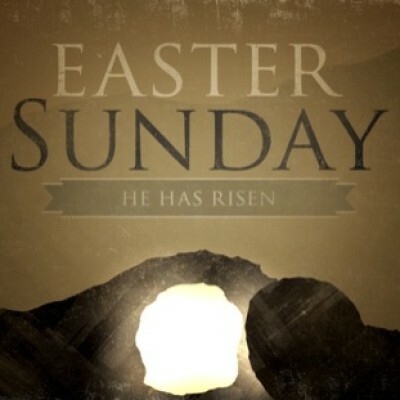 Easter celebrates the day Jesus Christ rose from the dead. But what does that have to do with you? And why did Christ die in the first place? We all have sinned, and the Bible says the punishment for sin is death. But because of God’s love for us, He sent His Son, Jesus Christ, to die in our place. Christ died a horrific death on a cross, yet conquered death by rising again three days later! Because He lives, those who believe in Him will also live forever in heaven. Everyone can know the power of the risen Christ. Trust in Him today and discover the true meaning of Easter – the promise of eternal life. About us: The HCC-ians. We are close like a family. We love Jesus and His people. Come drop by at our church the following weeks and come and find out this family of God. Please bookmark our website http://www.hccpj.org or like our facebook. impressed by your blog.You have performed an excellent job.